Meet the father of the internet.. Of course you never heard of him because he is from Africa and the main stream media wouldn’t want to brand the “creator of the internet” title to a African American man. Nubian people, you are the masters of the universe and we are magic! 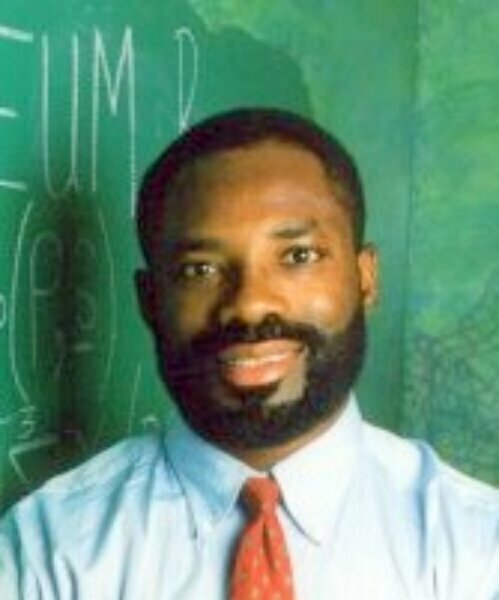 Philip Emeagwali, a computer scientist, is but one example. He uses his mathematical and computer expertise to develop methods for extracting more petroleum from oil fields. It was his formula that used 65,000 separate computer processors to perform 3.1 billion calculations per second in 1989. That feat led to computer scientists comprehending the capabilities of supercomputers and the practical applications of creating a system that allowed multiple computers to communicate. He is recognized as one of the fathers of the Internet. Supercomputers range in price from $30 million to $100 million, and computer companies had reservations about building them for fear few agencies would make such pricey purchases. 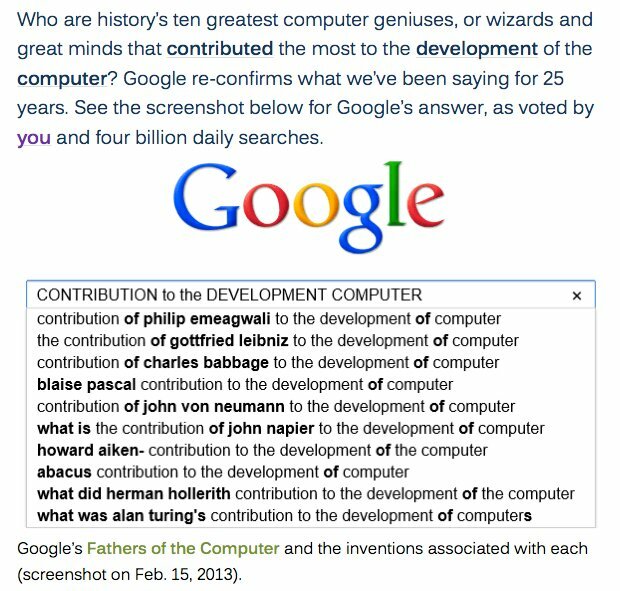 It’s hard to say who invented the Internet. There were many mathematicians and scientists who contributed to its development; computers were sending signals to each other as early as the 1950s. But the Web owes much of its existence to Philip Emeagwali, a math whiz who came up with the formula for allowing a large number of computers to communicate at once. Emeagwali was born to a poor family in Akure, Nigeria, in 1954. Despite his brain for math, he had to drop out of school because his family, who had become war refugees, could no longer afford to send him. As a young man, he earned a general education certificate from the University of London and later degrees from George Washington University and the University of Maryland, as well as a doctoral fellowship from the University of Michigan. At Michigan, he participated in the scientific community’s debate on how to simulate the detection of oil reservoirs using a supercomputer. Growing up in an oil-rich nation and understanding how oil is drilled, Emeagwali decided to use this problem as the subject of his doctoral dissertation. Borrowing an idea from a science fiction story about predicting the weather, Emeagwali decided that rather than using 8 expensive supercomputers he would employ thousands of microprocessors to do the computation. The only step left was to find 8 machines and connect them. (Remember, it was the 80s.) Through research, he found a machine called the Connection Machine at the Los Alamos National Laboratory, which had sat unused after scientists had given up on figuring out how to make it simulate nuclear explosions. The machine was designed to run 65,536 interconnected microprocessors. In 1987, he applied for and was given permission to use the machine, and remotely from his Ann Arbor, Michigan, location he set the parameters and ran his program. In addition to correctly computing the amount of oil in the simulated reservoir, the machine was able to perform 3.1 billion calculations per second. The crux of the discovery was that Emeagwali had programmed each of the microprocessors to talk to six neighboring microprocessors at the same time. The success of this record-breaking experiment meant that there was now a practical and inexpensive way to use machines like this to speak to each other all over the world. Within a few years, the oil industry had seized upon this idea, then called the Hyperball International Network creating a virtual world wide web of ultrafast digital communication. The discovery earned him the Insti*ute of Electronics and Electrical Engineers’ Gordon Bell Prize in 1989, considered the Nobel Prize of computing, and he was later hailed as one of the fathers of the Internet. Since then, he has won more than 100 prizes for his work and Apple computer has used his microprocessor technology in their Power Mac G4 model. Today he lives in Washington with his wife and son. Isn’t it funny how many of you never knew this before, when it has been published by major publications like Time and CNN just to name a few? Why hasn’t their been a documentary or any reference to his story in the history books our children read? Why is Africa so behind on internet connections when it was founded in Africa?